We promised to answer some of the most frequently asked questions regarding the 2019 season, and we compiled the info you need in this very post. 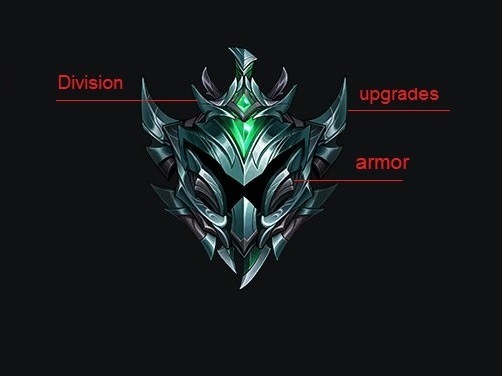 Ranked emblems are a combination of your ranked armor and its upgrades that show up on your profile.These will be used to show off your current tier, division and split upgrades you unlocked. Where exactly on my profile? Emblems will show up on your profile, lobby and loading screen. How do these emblems look like? How will I figure out what division a player is in? You can do so by checking out their emblem or their ranked border. The crest on the top of the emblem/border will change as a player moves through divisions. What about the upgrades a player has? The upgrades can be noticed on the player’s emblem as the flares of the armor. Each rank will improve the aspect of the armor a bit. What will happen to my upgrades if I change tiers? Your upgrades will follow you, changing the look of the new armor you got. So if you promote from Silver 1 while having 2 upgrades, you will move up to Gold IV still having 2 upgrades. 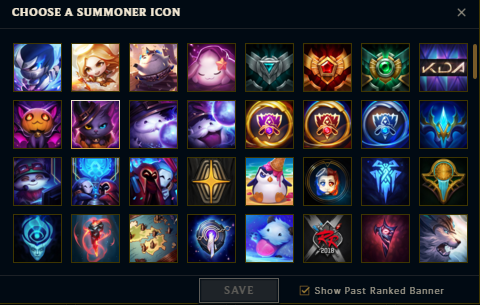 When will I unlock my season 9 border? As soon as you finish your placements. Do I need to have a specific honor level for my border to show up? No. Your border will show up as soon as you complete your placements, regardless of your honor level. What border will show up when I’m playing normal games? For non-ranked queues, the highest one you have. For ranked queues, the border will be queue specific and position specific. What will happen to my current border in the next season? What if I don't like my border? Can I have it removed? Not anymore. Due to the changes we made to the ranked system, borders are now irremovable. 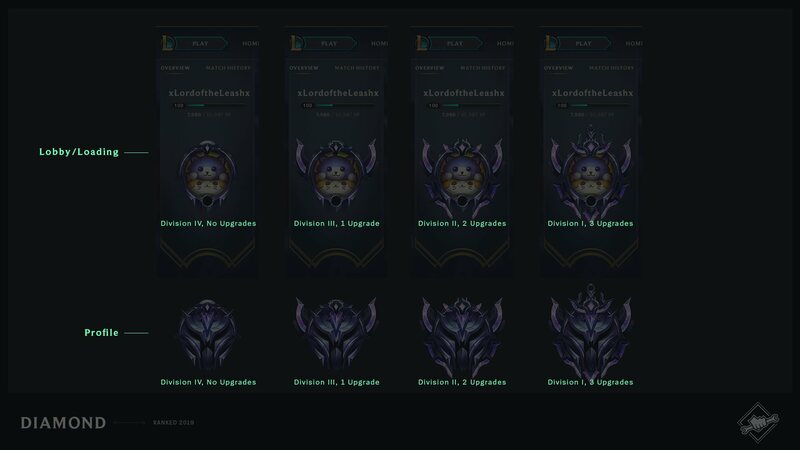 Starting with patch 9.2, borders will start showing your current rank and the past rank. What about the banner? Can I remove that at least? I was ineligible to earn ranked rewards this season due to my honor. How will that affect me in the 2019 season? Even if you did not get any ranked rewards for the 2018 season, you will still get the armor and the loading screen border in the 2019 season. Yes, and it will remain off until the new season starts. When will the new season start? When will ranked changes start to happen? If I climb during the preseason, will it influence my placements? A tiny bit, but if you decide to take a break for the offseason, go ahead! This is everything we got so far, but if you have any questions, feel free to pop them in the comment section below! Thanks for checking in and see you on the Rift! ***Welcome to Technical Support! *** Need tech support? Look no further! Our technical wizards such as the [Wrenchmen](http://boards.euw.leagueoflegends.com/en/c/help-support-en/EXtUdIss-the-wrenchmen-helping-solve-issues-one-post-at-a-time) and other community members, are here to help! We've got the handy [Wrenchmen's Toolbox](https://boards.euw.leagueoflegends.com/en/c/help-support-en/hlYp1Qn8-common-fixes-answers-the-wrenchmens-toolbox) with a plethora of guides and fixes that may already answer your question, but if not - post away! Keep in mind the boards are for player interactions - if you need further support, or it requires Riot investigation, you’ll still want to [Submit a Ticket](https://support.riotgames.com/hc/en-us/requests/new) to Player Support the old-fashioned way: - Billing issues - Suspension appeals - [Account Recovery](https://boards.euw.leagueoflegends.com/en/c/help-support-en/hPvMFBIN-how-to-recover-your-account-keep-it-safe) - Advanced tech support (no answer on boards? No problem!) If you wish to report a bug, please use the [Bug Reports Section](http://boards.euw.leagueoflegends.com/en/c/bug-reports-eu) If you have questions about a ban or player behaviour, please use the [Player Behaviour Section](https://boards.euw.leagueoflegends.com/en/c/player-behaviour-en) ***Etiquette*** Follow the **[Universal Rules](http://boards.euw.leagueoflegends.com/en/c/announcements-en/3eWpXbJi)** and keep content focused on appropriate topics for these Boards. Use the report button for any post you think deserves the attention of our moderators.